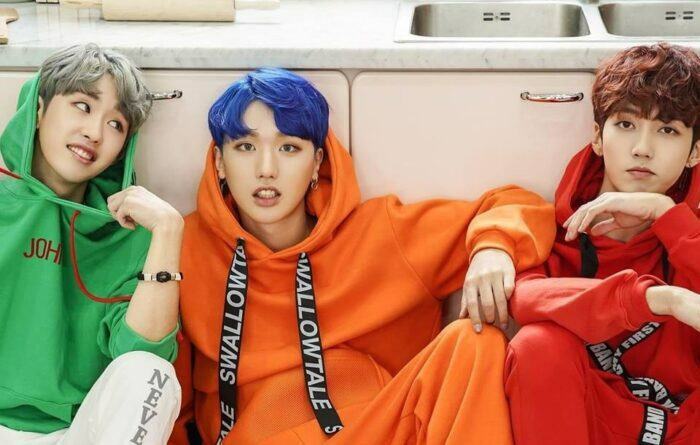 Although it was just half of 2019’s first month, K–pop rookies have caught much attention with positive and negative news. The first month of 2019 has just gone through the half. The 4th generation rookie began forming and getting certain attention. There are some idols who are known for coming from a live show or their impressive achievements, but there are is still someone who is known by plagiarism scandals. M.O.N.T from FM Entertainment company was debuted on January 4th. All 3 members joined “MIXNINE” live program organized by YG. However, because the final ranking is not high enough and the debut stage is not so good, M.O.N.T is less known to Kpop fans. “MAMAMOO’s little brother” – ONEUS is the most outstanding rookie boy group at the moment thanks to their strong and powerful voice. “Light Us” debut mini album reached # 1 in iTunes’ album chart in the US and Australia, and reached the top 10 in the UK, Canada, Germany, Spain and Italy. MAMAMOO could not do this despite having comeback three times last year. Released on the same day as ONEUS, plus the self-composed and choreograph ability, but “VIXX’s little brother” – VERIVERY is less outstanding than the other. In addition, this boy group was also accused by B1A4 fans because of copying B1A4’s special greetings. Currently, VERIVERY‘s managing company, Jellyfish Entertainment still has had any explanation about this issue yet. Cherry Bullet – also being suspected in plagiarism scandal. FNC Entertainment’s 10-member girl group is expected to make headlines this year, but their electronic game concept has many similarities with NCT 127. However, Cherry Bullet is defended by K-pop fans because this is the company’s idea and two groups SF9 and AOA have used this concept as well. These are just the first pieces of the K-pop rookie in 2019. Certainly, in the near future, new groups will be able to change the face of Korean music. The most typical is Bighit‘s new boy group and JYJ‘s girl group, the two groups which are expected to debut around January to February. Who says TWICE can only do girly concept when they can blow fans’ mind with their girlcrush charisma?